Humanism and an understanding of child development are, so far, attributes too difficult to “measure” for the people who are making decisions for educators and students. If you can’t measure it, it just doesn’t exist for them. Getting kids to do things at a younger and younger age seems their goal…but why? As you point out, it’s not productive or valuable to the learner. Hope more people listen to your voice. Thank you David. I hope you can help by spreading this blog around to people who need to read it. Perhaps to parents who should be making a big fuss about what is happening to their children in school! I teach kindergarten, and I can’t count the number of times I’ve told parents that at the end of second grade you can rarely tell which child learned to read in Kindergarten, and which child didn’t break into fluency until that year. Your suggestion is spot on. Amy, your statement brings back memories of parent-teacher meetings that I had. When a parent noted that some child in the class was already reading and his wasn’t reading yet, I asked the father to tell me the exact age, in years and months, when his wife began to read. When he said that he didn’t know, I asked him if his wife read now. That brought a lot home and allowed me to then have an intelligent parent-teacher meeting where I could discuss what really important activities their child was involved in. The majority of teachers and a small number of parents ( Small because in my country it seems like the parents are stuck in a competitive rut, and don’t see beyond ) can understand that there is too much pressure brought on the children, whom by the end of certain years in primary school are already demotivated and loosing interest in education because their self-esteem is so low! I totally agree with your post and sincerely would love to see this change! Children are being robbed of play and fun! Lovely to read your spot-on analysis, which you’ve presented so eloquently, Renee! 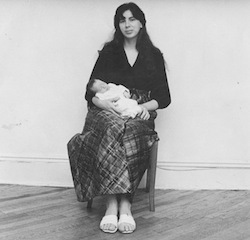 (And wonderful photo of you as a new mom and Simone as a new person!) I wrote a tiny Comment in last week’s NYT article on Common Core in a similar vein, in regard to the wide range of normal development and the dangers of demanding abstraction before experience, etc. (The article addressed the problems of a fourth grade boy in regard to Common Core and testing standards, and never acknowledged that his late December birthdate placed him in the cohort of youngest fourth graders in the country.) I hope the right people hear your important voice! Thank you Nancy. I also read your important article. Sometimes I would have a child in my class with, say, a February birthday. The child would seem to be less mature than expected. When I had a parent meeting I found out that the child was born three months premature. Bingo! As always, I love your posts. I do think that more than a reconsideration of the CCSS, we actually need to do away with them entirely. Many states have their own perfectly good standards. And, in my opinion, standards are not the cause for good teaching. I much preferred when my state had “benchmarks” by which we could at least see if a student needed some extra help. In fact, I would love for us to spend more time finding ways to engage students who don’t find school engaging. I guess that’s why I was an early childhood educator when I started. There are so many wonderful things about the early years. Let’s not destroy those. LOVE this! Not only do you capture the essence of what it means to be a mother, you take this into what it means to be a responsive teacher! We are all so quick to “forget” what we know intuitively and from what we research and to trust “others” to know more or better than we do! I would only take this argument further suggesting that all of education have this same look and feel and God forbid, playful element to it. Why do we need to become suddenly “serious” by 3rd grade? As a 3rd grade teacher for years I had non readers come to me and yet by the time they let they were reading along with the others and as someone else said before me, you could not have identified her as that “late” reader. While I agree that our kids are being robbed of an appropriate education I would only add that the same thing is happening all the way up through High School!! We need to play and be curious and think for all of our lives! Thanks SO much for posting! Tomasan, you’re spot-on the mark. I only wrote about K- 2 because those are the grades that I taught and that I now work with. However, if you look back on my blogs, I spent a day at the Brooklyn New School in Steve Wilson’s invcredible third grade classroom. 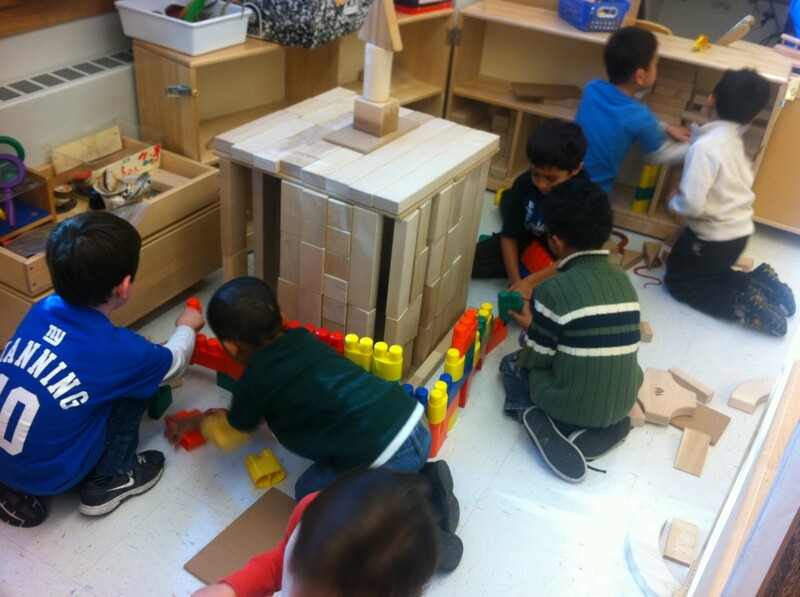 It’s a room full of exploration and inquiry, not to mention play. His children love school and do very well. I think that all classes should be like his, yes Tomasan, all the way through high school. Thank you for bringing up that very important point. a school were I was doing some consulting. The teachers were putting together the most inappropriate “summer packet” for the incoming kindergarten children. I flipped! I certainly gave my input and gave some other suggestions for a kindergarten packet. Unfortunately I never followed through to see what happened. I’m going to write to one of the k teachers now to see what they are doing. So sad to have to deal with this – the children, the teachers and the parents. We do need some kind of revolution, don’t we? Renee, I am so glad you wrote about this – you read my mind as well. I have tried to raise this issue at our daughters’ school for a few years, with not so much response. The crazy thing is that the parent-teacher conference you describe is now sometimes reversed, with me as the parent trying to respond (in a sensitive way and yes, without telling the teacher how to do her job) when my daughter’s kindergarten teacher raised concerns about wanting to stop my then 4-year old’s letter reversals from “becoming a pattern”. I think that our administrators know better, but wonder what is happening with some of the teachers. 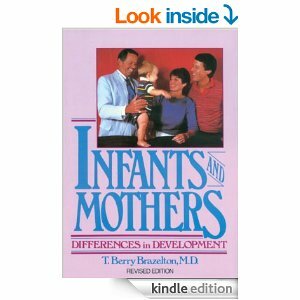 Is developmental psychology being emphasized less in ed schools, or is this a response to pressures brought on by the new standards? I wonder if perhaps like-minded parents and teachers can work together to highlight what’s being asked of kids today that’s not developmentally appropriate. This facebook group is exploring the issues raised in this article and seeking to inform parents about developmentally inappropriate Common Core standards’ demands on their young chldren. Please join us! Thank you. I will join and I hope other parents and teachers who are readers of my blog will join too! Wow, Renee! Beautifully put! I have been thinking about this a lot as we wrapped our year in K- and after reading an article that shows no difference by age 11 if kids learned to read at 5 or 6- what are the standards really doing?! How can anyone defend five year olds being “below standard” when they are joyful, playful, inquiring, developing beings?! Thank you for always being an advocate of play and joy! Thank you Kristi. There’s so much important “work” of childhood that young children miss out on when we push them into early, heavy-duty academics. The irony is that when they playfully explore a topic that really interests them, they do so much more “life-long learning” than when they do guided reading with a silly and uninspiring A,B,C, D and E level book. Renee, your article on standards is a joy to read! As aways, you clarify the issues quite well, and I couldn’t agree more. I find it ironic that the pre-k standards, which do focus primarily on inappropriate one-size-fits-all expectations, promote some good early-childhood practice as well. It appears that knowledgeable people were tapped for at least part of the ignominious task. Herb, your school lost a treasure when you retired! I’m curious to know which of the pre-k standards seem appropriate to you? Perhaps it’s the ultimate insult to try to standardize the development of play behaviors, but under the circumstances, I felt much better having them included. in my chats with you on this topic and reading this engaging and beautifully written post and thoughtful comments, this has become my soundbite in discussions with my fellow k-2nd grade parents. thank you. the response is always, “that is so true, and right my child did not learn to walk until 2 but what does that matter now she is doing back flips.” and many well respected educational philososphies like Waldorf don’t introduce reading until age 7. I am choosing, despite the challenges, to change careers now to education after having two children and a thriving business career. my challenge as a graduate school student and then new teacher will be to have the grit and resilience to continually defend the play, inquiry and child led interest work with my professors and future principles. we learn through living and as a small example when my own children have used an incorrect pronunciation/use of a word or a phrase I won’t correct them with “no this is how you say this” I just simply engage in further conversation about it to continue the dialogue and then restate their statement correctly so they will hear it in the course of our conversation. I’ll bring it up again later so they continue to hear it and eventually, by owning the change themselves, the correct phrase or word happens. That is how we learn to speak through interaction and not instruction. every faculty is the same ……corrections get in the way of letting ideas, creativity and communication flow from all of us.